Mickie was surrendered to a vet because the owner was unable to pay for the medical care she needed. 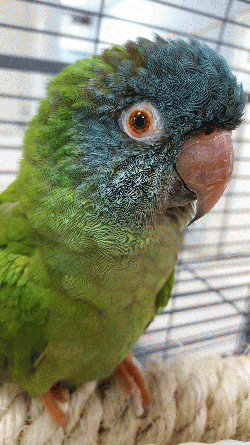 Mickie is an elderly bird who is generally healthy, except for arthritis and associated mobility problems. She is quite chatty and makes a variety of interesting noises. None are in a human language, but she doesn`t seem to mind.